In celebration of National Apple Month, we've selected 10 recipes that show fall's healthiest fruit at its sweetest. October is National Apple Month, so it’s the perfect time to pick up a bushel of the ruby reds and get cooking. 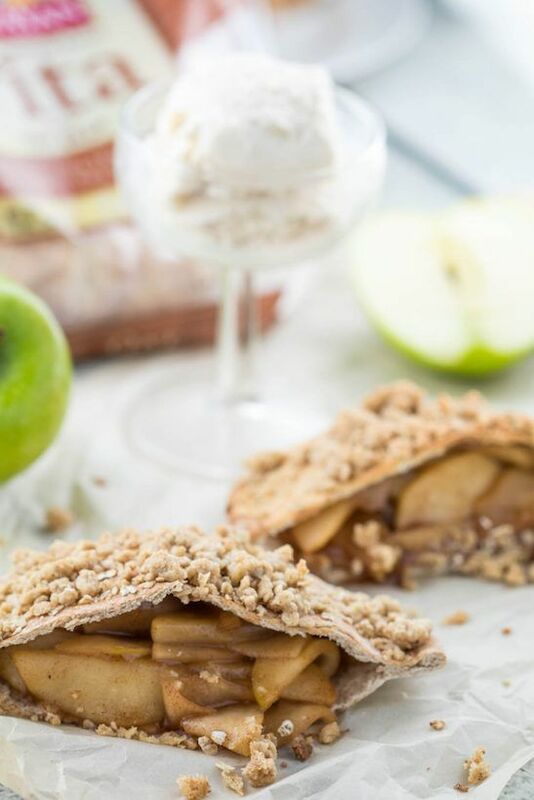 Although biting into a perfectly crisp apple may be your favorite way to enjoy this fall fruit, you can also spice up your apple routine with some of these creative recipes. After all, it’s rare to find someone who will turn down a slice of warm apple pie. Ancient grains are all the rage in the foodie community, so it’s time to embrace the trend and try something new, like teff. 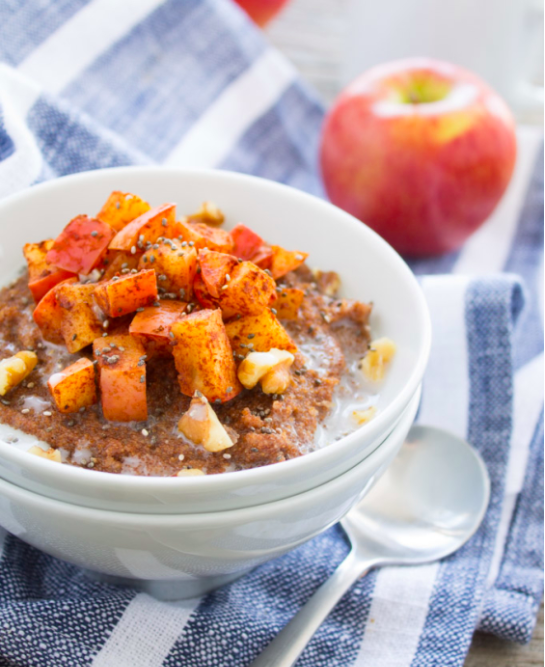 This gluten-free Apple Pie Teff Porridge is a great way to switch up your breakfast routine. Teff is a good source of calcium, an excellent source of iron and it’s packed with fiber. Plus, it’s got about seven grams of protein in just ¾ cup. Start your morning with some apple pie flavors and nutrient-rich teff. Is there any better combination than pork chops and applesauce? 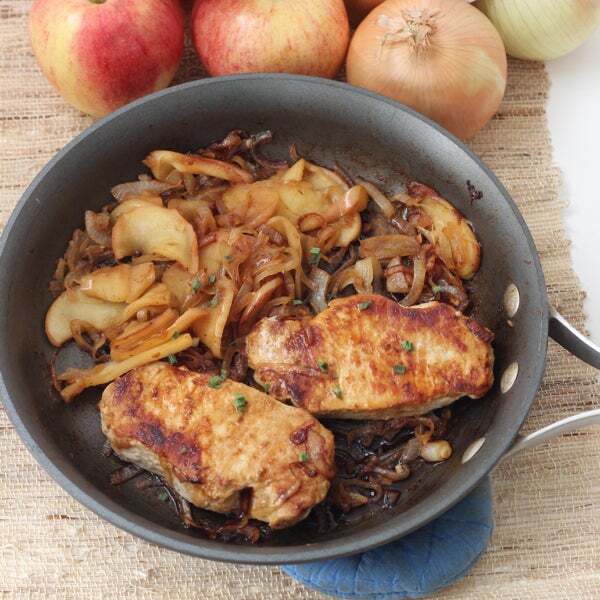 This recipe showcases those two foods with some sweet caramelized onions for a whole lot of flavor in one pan. If you need some extra carbs after a run, eat this hearty dinner with a slice of bread or some rice to sop up the extra sauce. This recipe is cute enough for kids and delicious enough for adults. 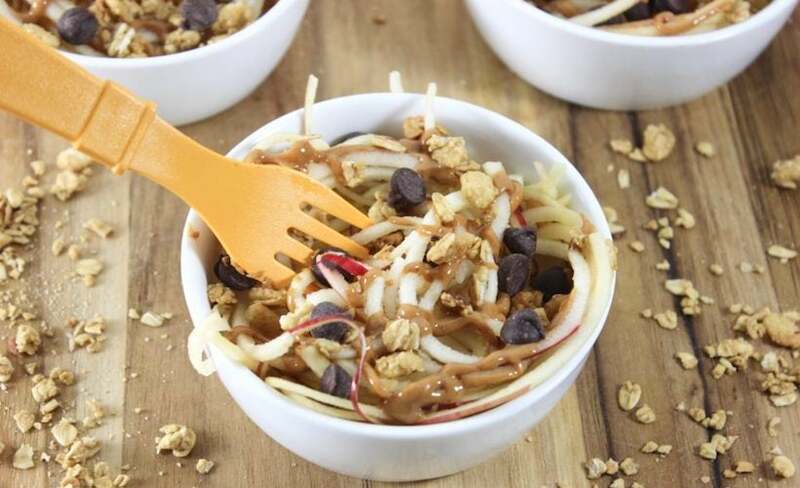 Whip out your spiralizer to create some beautiful apple swirls. Then, top with peanut butter, granola and chocolate chips for a yummy breakfast, snack or pre-run fuel. The only combination that’s better than peanut butter and chocolate is peanut butter, chocolate and apples! 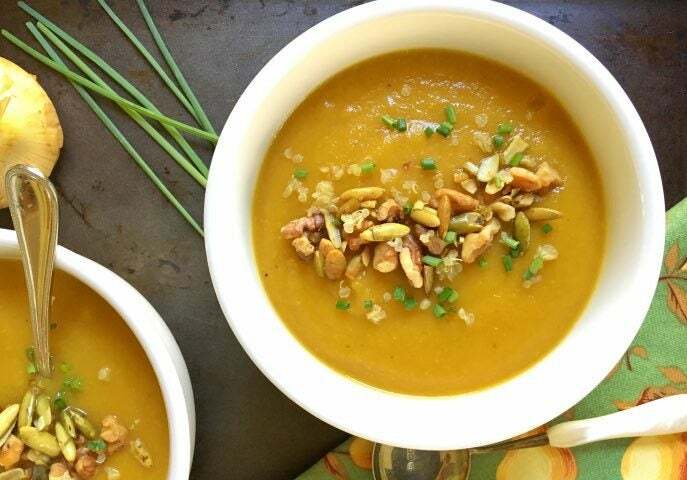 There’s nothing more comforting than a homemade butternut squash soup in the middle of autumn. This vegetarian favorite is sweetened with crisp apples and juicy pears. Make it a complete meal with a protein boost by adding a scoop of quinoa or topping with some walnuts or pumpkin seeds. 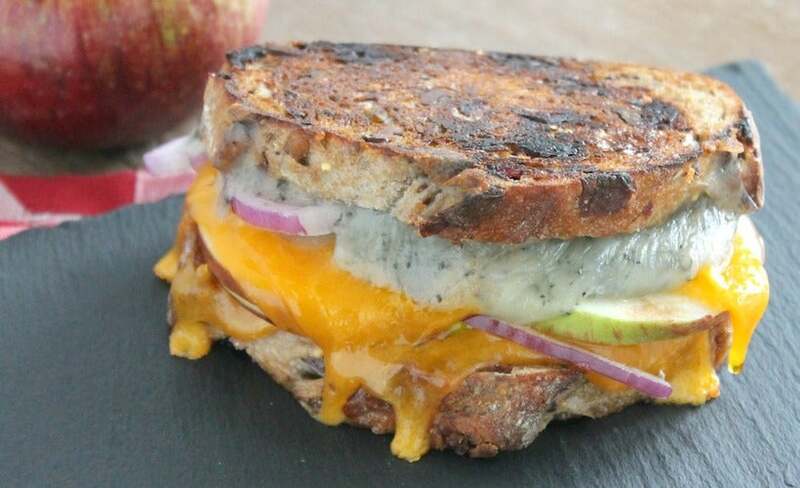 Apples make the perfect addition to a grilled cheese. This sandwich takes things up a notch with the addition of blue cheese and red onions for a nice tangy bite. I bet this would go really well for the aforementioned butternut squash soup. The best part about a long morning run is the big pancake breakfast that follows. 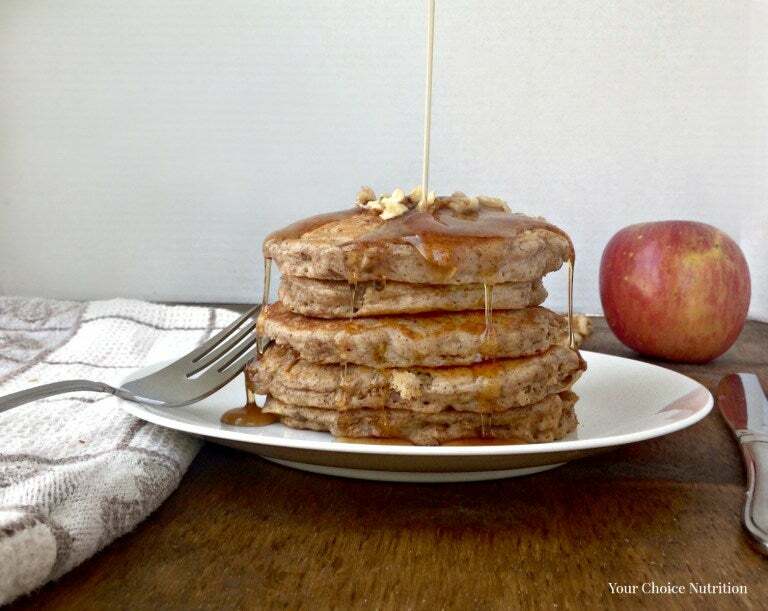 These Whole Wheat Apple Walnut Pancakes will fill you up with wholesome and nutritious whole grains and warm apple flavors. They are fluffy and crunchy at the same time and are sure to be a hit with everyone at your breakfast table. 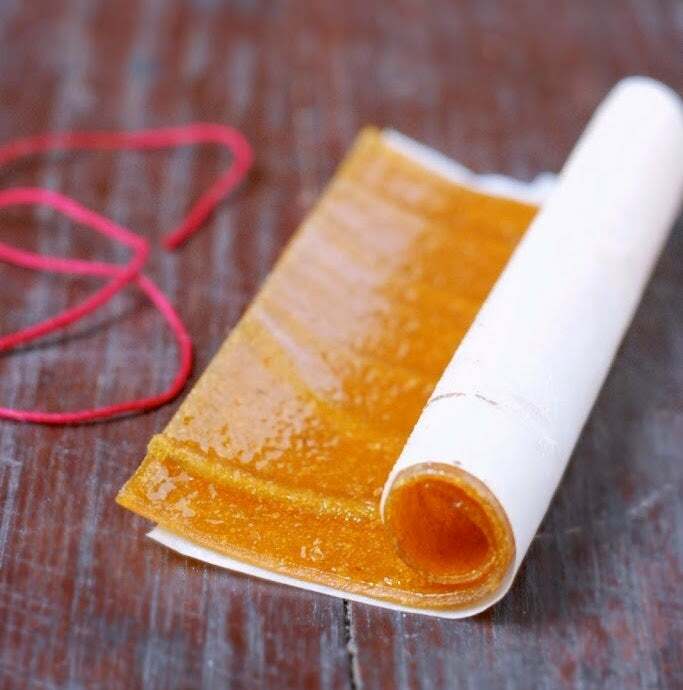 I’m a child of the ’80s, so it’s only natural that my favorite afternoon snack was Fruit Roll-Up. Of course, now I know that those things were made more of sugar than of fruit. Luckily, this homemade version is made with just raisins and apples. No weird colors, flavors or additives allowed! 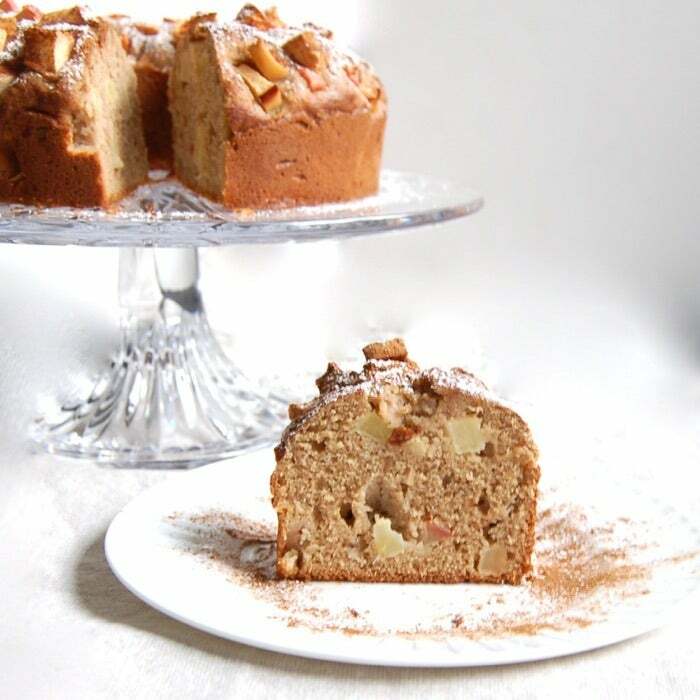 “This Apple Cinnamon Cake is so easy to make, it’s moist and delicious, and [it has] a good source of fiber. Thanks to the addition of SPLENDA Naturals Sugar and Stevia Sweetener Blend, this treat has just the right amount of sweetness,” says Jessica Levinson, MS, RDN, CDN, founder of Small Bites by Jessica. What if I told you that you could have apple pie for lunch? Well, you can with these delicious apple pie stuffed pitas. This recipe subs in pita bread for piecrust and keeps the sugar and butter to a minimum. Plus, the pita forces you to practice portion control. This apple crisp tastes fantastic, but it has absolutely no butter and is minimal in the sugar department. 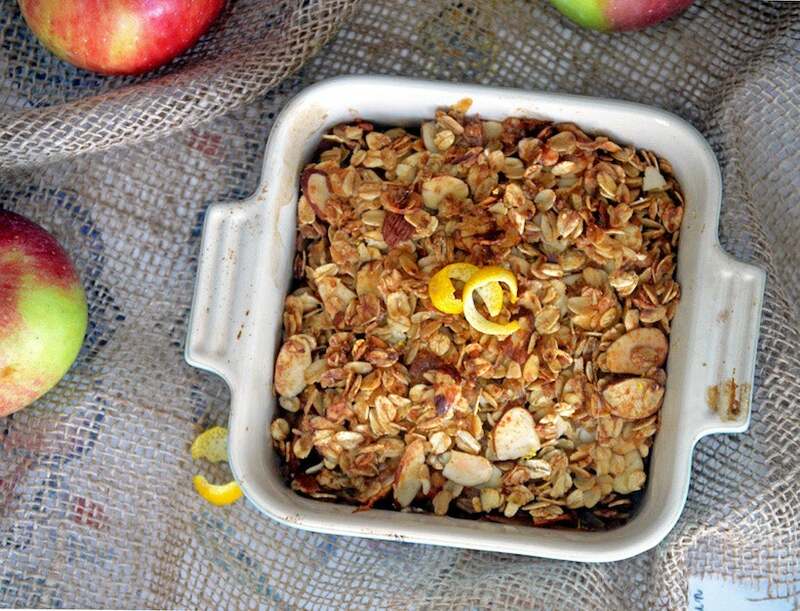 The baked apples are topped with an oat and almond topping, which is lightly sweetened with agave and orange zest. It’s meant to be a dessert, but it’s healthy enough to eat for breakfast!